We can offer both education career opportunities and supply teaching flexibility. We have a comprehensive list of teaching, teaching assistant roles, SEND support staff and leadership positions available. With day-today supply jobs, long term contracts as well as permanent vacancies, we can provide you with options that suit you best. At Flourish Education we aim to find candidates the most rewarding teaching jobs to suit their needs. We only specialise in education recruitment so if you've worked in a school, children's centre or college please browse our education Jobs page as we'll likely to have a vacancy suited to you. Simply click the apply button next to the position you're interested in. An education recruitment consultant will call to arrange a registration appointment, if you meet the job criteria. Here are the 6 simple steps to get you compliant and sent out to work! On the phone, we'll talk through the type of work you’re looking for, the current opportunities and book you in for an interview at a time that suits you. We email you the application form and a list of documents we need such as passport, NI proof etc. You then have time to fill in the application form and gather together the documents. Face-to-face interview (1 hour). We collect your documents, discuss your experience in more detail; areas of expertise and other information. You can pay for a DBS in the interview or we send you our bank details later. We then chase references and then send off for your DBS check. Bring in any documents you forgot at the interview. We check your file to make sure we have everything- if anything’s missing or the references aren’t coming back we’ll contact you to obtain further details. If we have applied for your DBS, you’ll need to send us the original and register with the update service once it comes back. Do you know if any of your friends or colleagues are looking for a new role in education? If so, refer them to us. It could be a win- win situation for everyone. If they successfully register with us, work a minimum of 10 days, we'll then reward you with the sum of £100. Flourish Education will either obtain a new, or see an original existing Enhanced DBS certificate (registered on the Update Service) with children’s barred list check for all candidates. To help ensure that unsuitable people are prevented from working with young people. If you're in the education sector, then there's a strong likelihood that you've heard of the DBS or CRB by now. It’s recently been an industry practice to perform DBS checks since there has been a rise of identity theft or identity manipulation because of advancements in technology. But if you haven’t heard of what is a DBS check, then let us explain its importance to your work. Basically, DBS stands for Disclosure and Barring Service. It's actually a non-departmental public body in the United Kingdom which helps organisations to make the best recruitment decisions, especially ones that involve vulnerable adults and children. The Disclosure and Barring Service will check whether or not a person is fit to work in that same environment. It has now become a standard whenever you apply for a job working with children. The DBS was actually formed quite recently in 2012, by incorporating the functions of the ISA or independent Safeguarding Authority and the CRB or Criminal Records Bureau, and they started operating on December 1 of the same year. If you are barred by the DBS to work, it is illegal for employers to hire you especially if your employer is in the vulnerable adults or children section. ​So what will happen then? 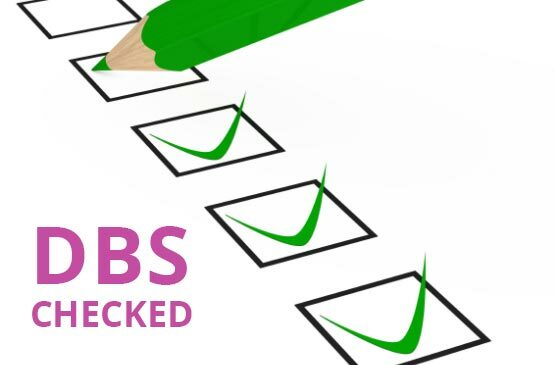 DBS checks can only be requested by employers and licensing bodies, and not job applicants. The best way for you to pass it is to submit yourself to a DBS check. Employers get an application from DBS or any organisation that gives access to DBS checks, and gives the forms to the applicants. The applicant will fill in the form and return to them along with documents to prove their identity. The DBS will review the application and will send the applicant a certificate, which the employer will not ask from the DBS but will ask from the applicant. DBS has employed levels of checks to provide only what is necessary to what employers need from their applicants. This will be the standard, enhanced, and enhanced with list checks. It's important for an employer or organisation to disclose to the applicant more information about the level of check required, as this is very important with the recruitment process of each company. Luckily, there is a dedicated website for the Disclosure and Barring Service and all the information regarding it is freely available for everyone. It will help to answer any questions about what a DBS check is and how does it affect your application. You can prepare for a DBS check by gathering all the documents for your employer and DBS needs as well as supporting documents. A good temporary candidate would be someone who's flexible, adaptable and willing to go to different schools at short notice - sometimes, you'll get an early morning call to provide your services, meaning that being reliable is a key quality that you must have. You may be called to go into a variety of very different schools and learning environments, so you'll need to adapt to the new faces and the new challenges that await you. Having a passion for your subject is a real necessity.If you don’t show enthusiasm for teaching your lesson, then your pupils certainly can’t be expected to either. It's important to provide a great example for your students to aspire to and ensure that the classroom is fully engaged and interested in the topic. We ask all our candidates to be open and honest with their consultant about how their day has been. When we know what works for you and what doesn't we are able to tailor the work to you and ensure that your needs are met as well as those of the school. Our education recruitment consultants at Flourish Education are always available to help you secure your next supply teaching job, and offer individual careers guidance.